French oil lamp, c1920s. 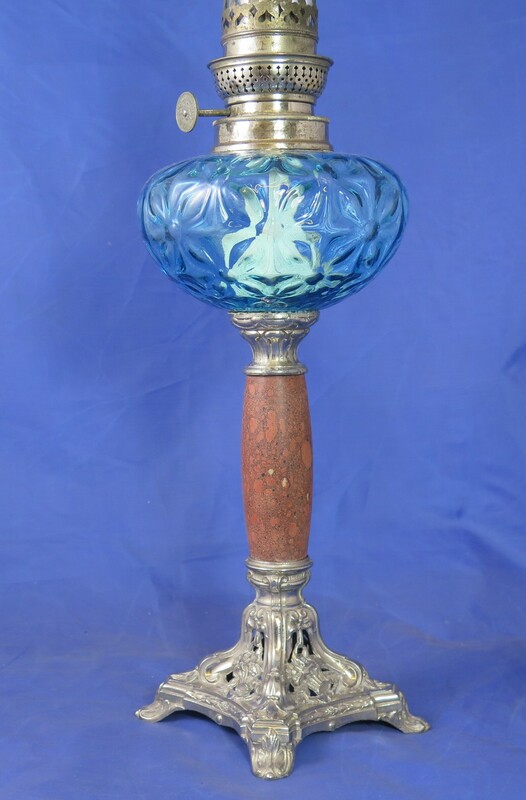 Blue glass font on plated spelter base. Original plated burner. 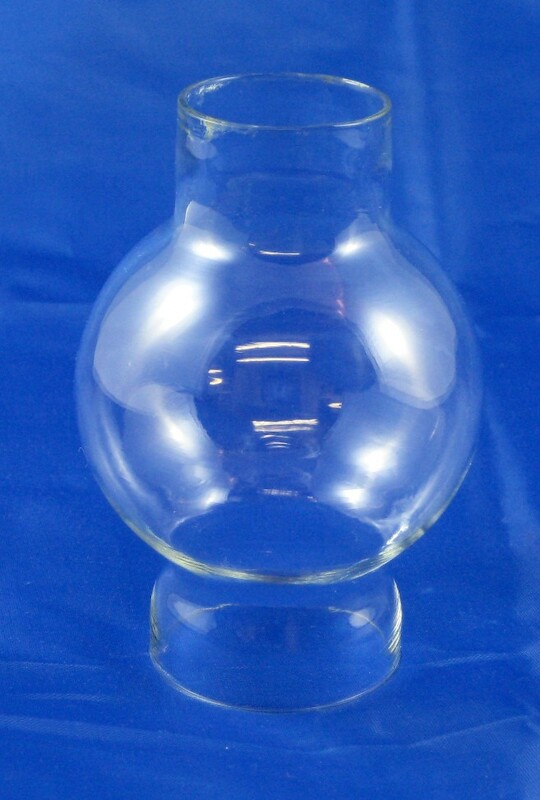 This is a replacement shade for the classic French 'Pigeon' oil lamp. The overall height is 95mm and the outside diameter of the base is 42mm.